Primarily originated in China as a medicinal drink which was later popularized to be a recreational beverage, tea is produced in abundance all over Asia. The tea drinking culture was brought to India by the British. As per the popular practice all over the country, tea globules are steeped covered in boiling water for three minutes. Then sugar and milk is added as per taste before serving. In majority of the Indian household tea is used in the form of globule apart from some of the discerning household that have a very developed taste for tea leaves that are popularly known as green tea. Off late, green tea has come into prominence owing to a certain style quotients as well as health benefits that it promises to bestow on the tea drinker. It is a common sight in corporate offices where executives are seen sporting huge mugs of tea with a green tea bag steeped in it. They say that these are detoxifying, distressing and energizing as compared to the regular ones. Not only in offices, the scenario is similar in the home front as well. The best flavored green tea company in India are ready with their offerings to appease this new breed of tea drinkers. Though not scientifically proven, green tea claims to have a number of health benefit such as treating cancer, cardiac diseases to aiding weight loss. Evidently, green tea has become the new buzz word among tea drinkers around the world. Even in the supermarkets, a steady shift in the consumption pattern has is being noticed among the consumers. As compared to the globule, the practice of brewing green tea requires a lot of precision. It is said that it is easier to learn to cook than acing the art of making a perfect cup of tea. This is where the quality of tea leaves play an important role and the master stroke of the tea maker lies in the art of knowing the exact parameters to keep in mind while steeping a particular blend of tea leaves. The higher the quality of the green tea, it requires cooler and shorter steeps for about two to three times extending which the tea becomes bitter to taste. As the quality goes down, it requires hotter water and longer steeps. An authentic hot cup of green tea can appease people who have a very developed taste for tea. 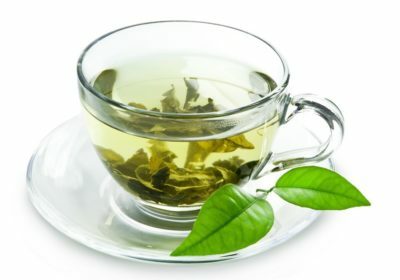 Trust the best green tea suppliers to provide the best blend that suits your taste as well as budget. Tea is available in the market in three distinct forms, namely the globule, powder and the dried leaves. The tea drinkers who are used to with the globules and powders are seldom able to appreciate the taste of green tea that is made out of dried leaves and vice versa. People who enjoy green tea consider the process of boiling tea powder or globules along with water, milk and sugar to be a very down market practice of making and having tea. All in all, tea is one beverage that defines the class and level of sophistication of people like no other lifestyle habit. Evidently, green tea rules the roost of being a beverage of the classes. Leaving behind the entire class struggle, green tea is marching ahead steadily making its way into the mass market as well owing to the myriads of health benefits that it claims to bring to the table. Some of these include preventing and reversing the effects of cancer and Alzheimer’s as well. Though these claims are not yet medically proven, nevertheless the high caffeine content is believed to promote mental alertness and have hence, become a favorite among tea drinkers.